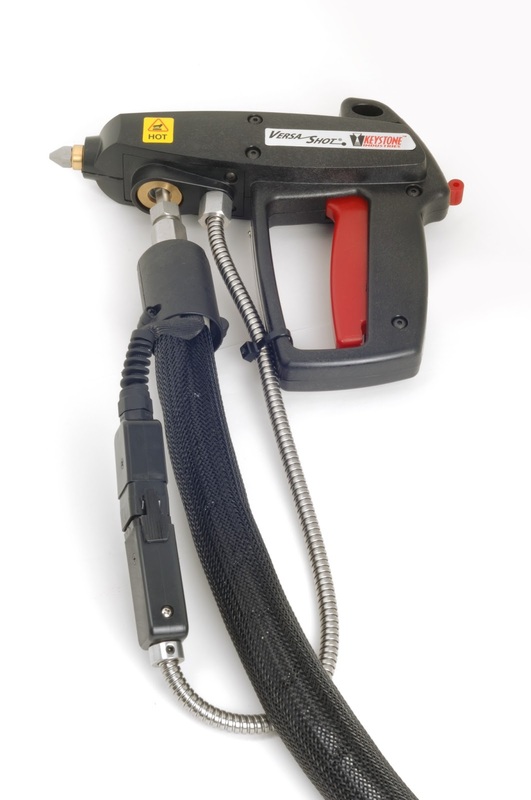 Looking for a handgun for your Graco Invisipac glue melter? Our durable, reliable handguns will provide a long term cost effective solution to your non-automated production needs. 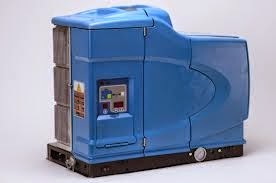 Many facilities use these for assembly of products or for reseals on an automated packaging line. We make many varieties that will fit most OEM melters. You can choose to have a top or bottom mount version, depending on your specific set up. Our handguns are the lightest weight on the market, have a 4 fingered trigger, swivel for easy operation and are ergonomically sound. There is a trigger safety lock to prevent accidental engagement of the trigger. We can also provide handgun hanger kits and booms for your workstations. Having hangers and booms can extend the life of the handgun by preventing operators from dropping the handguns. We have more varieties, including top mount - please call for pricing and availability. We make to order.